12 years ago, it just hit me. I was watching the movie "Road to Perdition", from Sam Mendes. The music in the shooting scene under the rain, composed by Thomas Newman, was so perfect for this scene that it just hit me: I knew from this day that I wanted to create music for films that could inspire the same emotions that I felt that night. I played the piano since I was 4. My mother wanted to give me the opportunity by growing old to know how to play an instrument, and so I started to learn music early. She was a piano player too, and she used to play me every night the same piece of Schubert, a sonata in F minor. She gave me her passion for music, and I think that's why it became very important to me. After studying 10+ years classical music at the French Conservatory, my piano teacher told me about Berklee College of Music and its Film Scoring department, and it became an objective for me. After receiving a degree in Sound Engineering in France, I passed the audition for Berklee and got accepted on scholarship. I graduated Berklee College of Music with a dual major in Film Scoring and Music Business in December 2014. I then moved to Los Angeles, CA in January 2015 and haven’t left since. I now work with composer Jeff Russo (Fargo, Star Trek Discovery, The Umbrella Academy..) as his scoring assistant/additional writer while working on freelance projects. 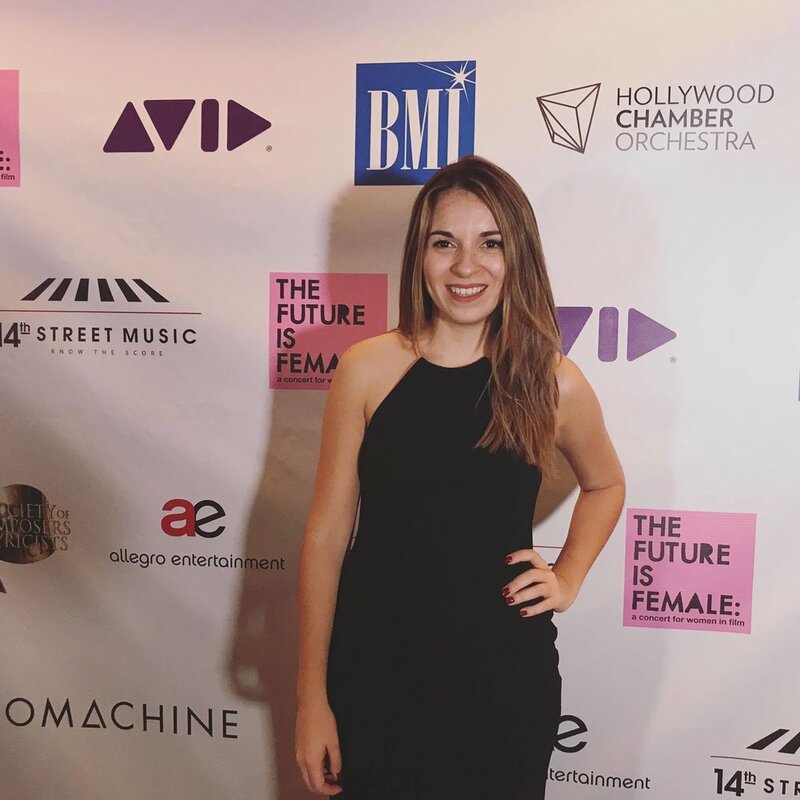 Most recently, I was a featured composer in the orchestral concert series "The Future is Female", alongside other female composers working in Films and TV.